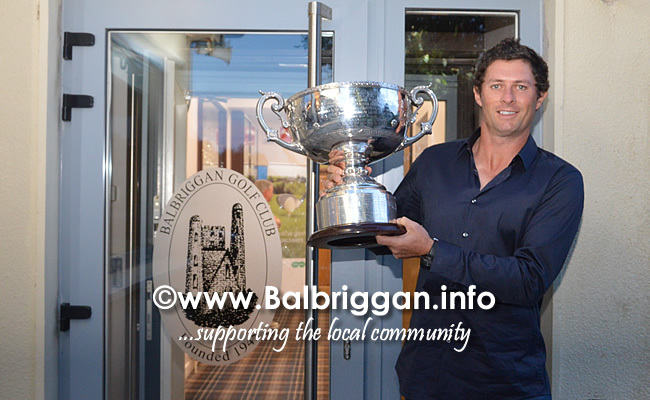 Balbriggan man Robbie Cannon returned to his home club, Balbriggan Golf Club, as holder of the Irish Amateur Close Championship. 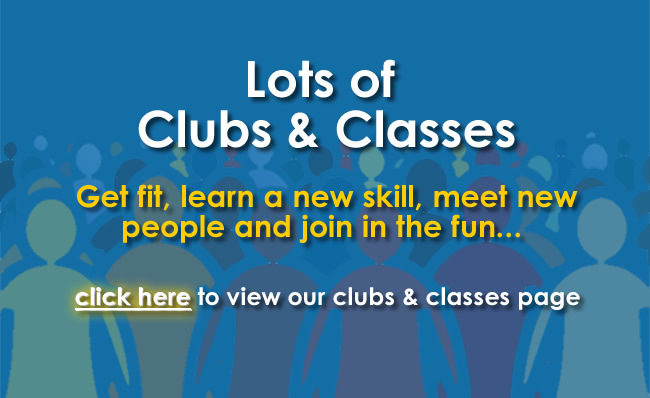 The finals were held at the European Club in Brittas Bay Wicklow. 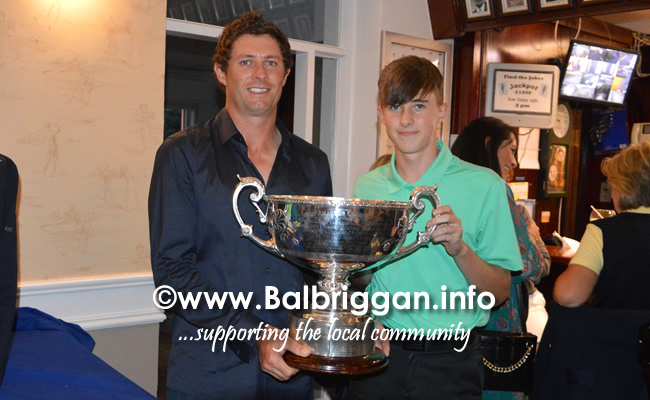 Robbie won the championship, on Wednesday 8th August, with a 2 and 1 win over Eoin Leonard of Wentworth. A large contingent of his supporters made the journey to cheer him on. 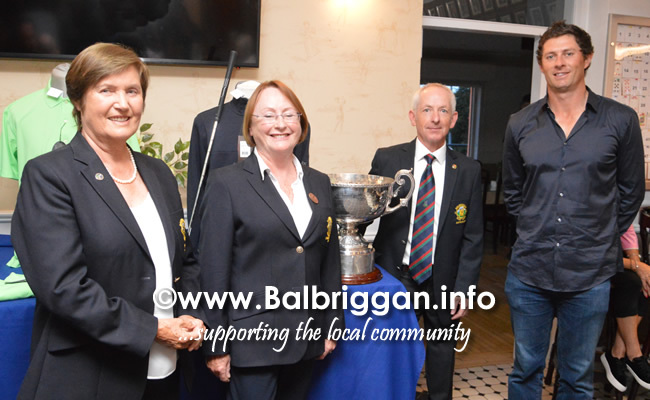 The homecoming celebration was held in Balbriggan Golf Club and was attended by over 150 members and guests, including the Club’s President Muriel Ennis, Captain Tony Hamilton and Lady Captain Beatrice Magee. 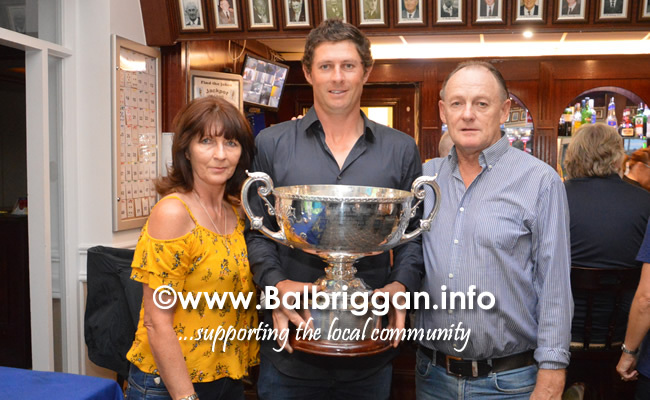 A contingent from the Laois County Senior GAA Team, where Robbie is fitness coach, made the trip to Balbriggan to join in the celebration. Previous winners of the Irish Amateur Close Championship include; Rory McIlroy, Shane Lowry, Paul McGinley, Padraig Harrington Graeme McDowell and many more illustrious names. Robbie is looking forward to a recall to the Irish team.